easy to operate. The power strip suitable for household appliances, such as computer, television, water heaters, LED and so on. 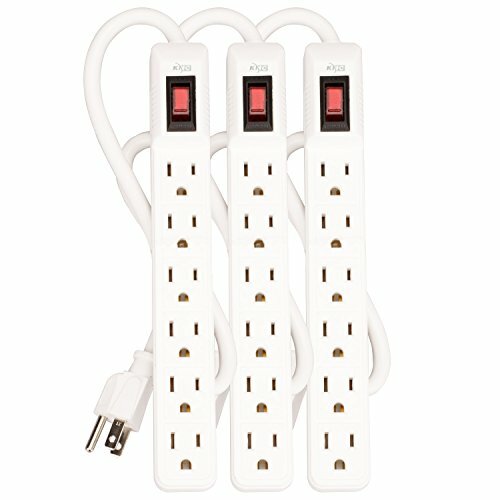 The power strip internal organization of products provided with surge protector function. Overload Protection with the double break overload switch. You will get 12 month quality warranty for our product,please feel free to contact us at any time. 100% No-hassle Warranty Replacement Guarantee. ETL listed. KMC Lifetime Product Warranty and friendly customer service.